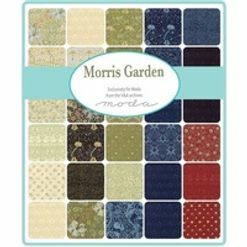 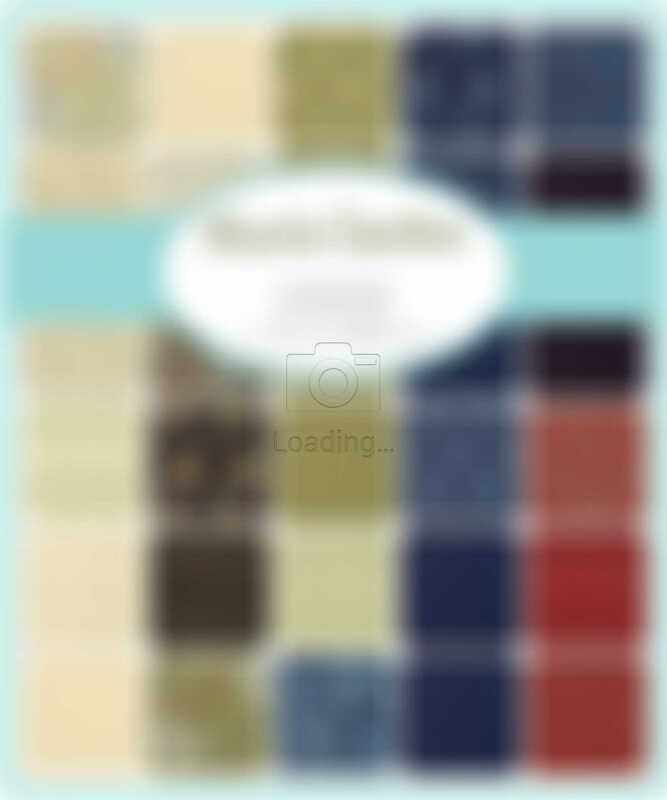 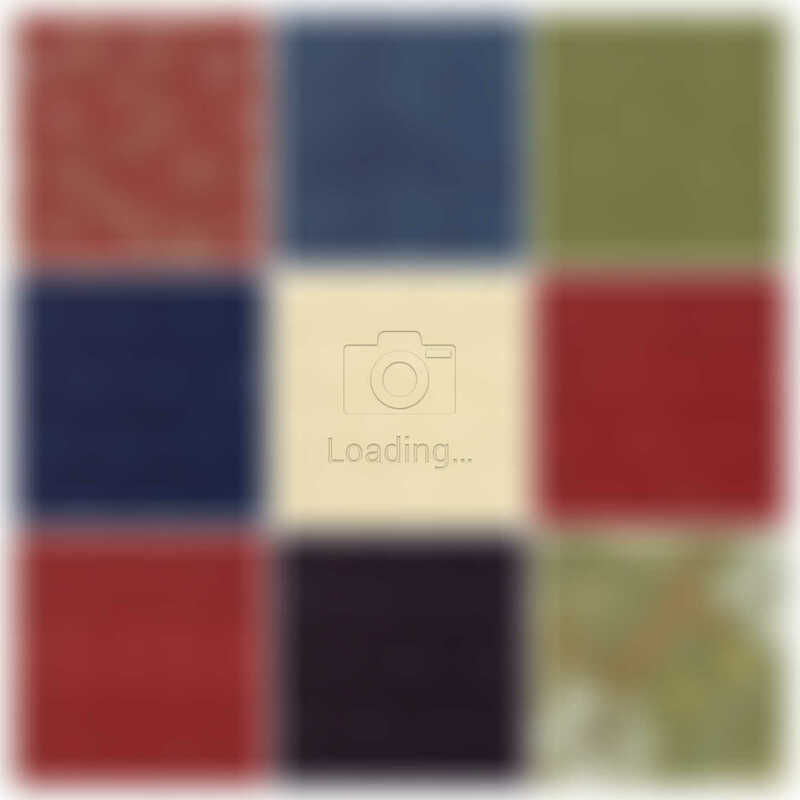 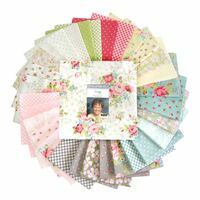 Moda "Morris Garden by William Morris" Layer Cake is a convenient pre-cut assortments of colour-coordinated fabric squares in 100% cotton. 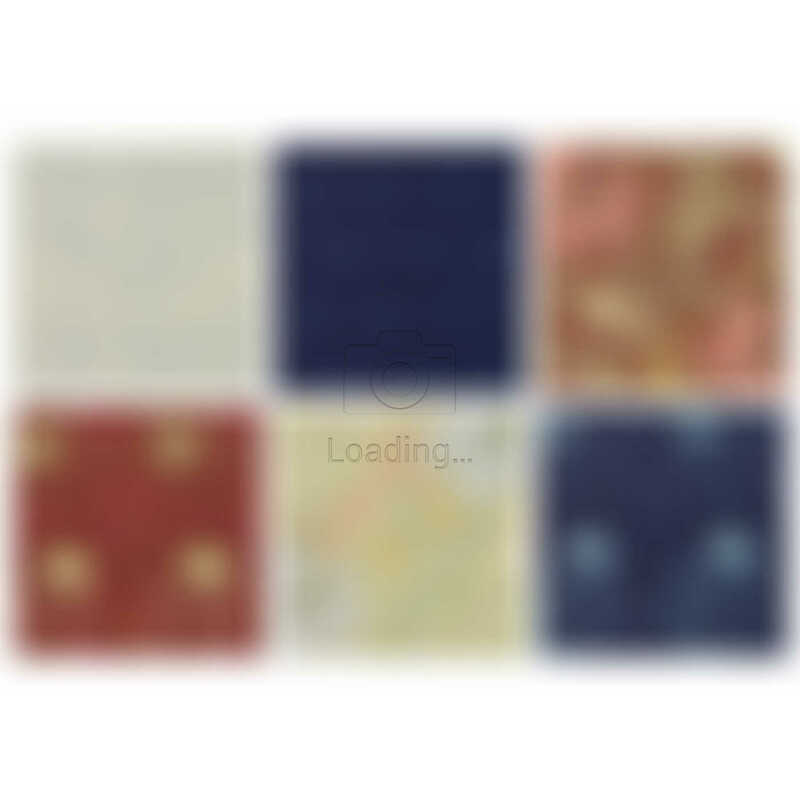 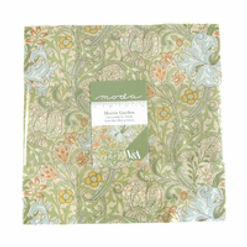   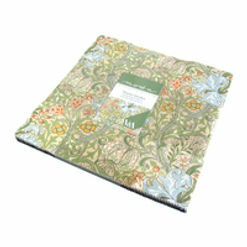 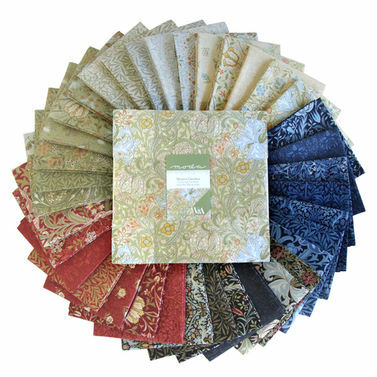 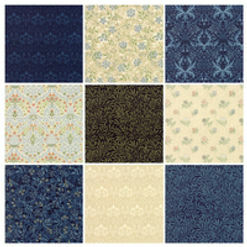  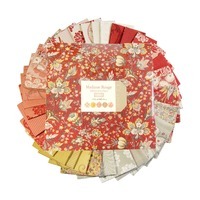 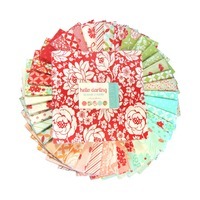 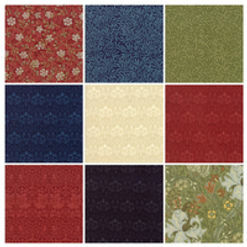 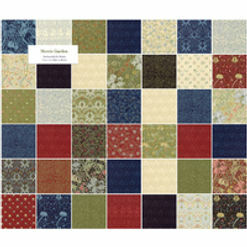 Reproduction fabric designed by William Morris, and professionally cut and packaged by Moda Fabric, this pack contains 42 of 10" x 10" (or 25.4 cm x 25.4 cm) fabric squares - which are quite large and ideal to show off the design fully. 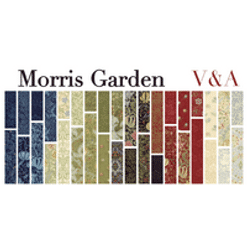 From the archives of Victoria & Albert Museum in London, William Morris’ first drew inspiration from the garden at Red House, the home he built for his family early in his career. 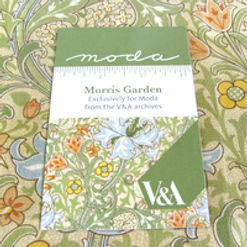 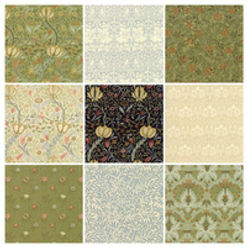 From Golden Lily to Jasmine, the prints selected for Morris Garden come from a twenty-year span of Morris’ designs.